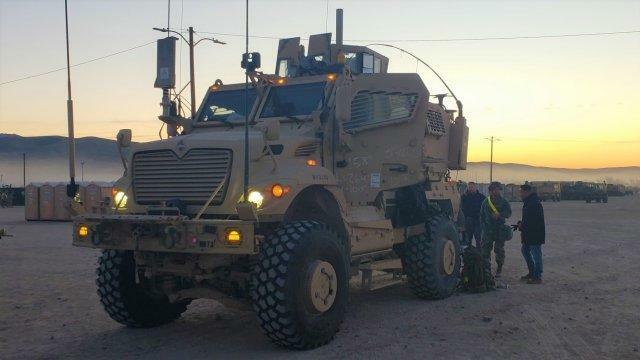 The Army's newest Electronic Warfare Tactical Vehicles (EWTV) were tested at Fort Irwin National Training Center (NTC), a major training area for the service located in the Mojave Desert in northern San Bernardino County, California, in January. 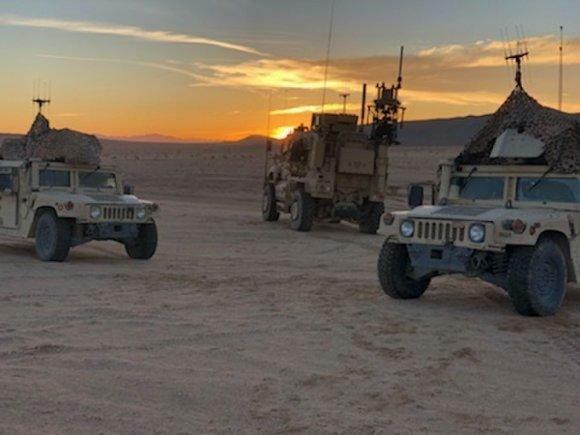 According to a statement, Electronic Warfare Specialists from the 3rd Armored Brigade Combat Team “Greywolf,” 1st Cavalry Division, conducted "electronic attack and electronic support operations" during the month-long field training exercise using EWTVs. 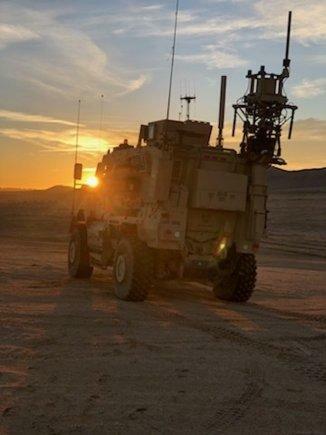 The brigade received the EWTVs in September 2018 in time to test it out during the Brigade's external evaluation, Pegasus Forge III, at Fort Hood, Texas. The operators of the vehicles then provided critical feedback to the team of engineers at Rapid Equipping Force (REF), who are responsible for designing and manufacturing the EWTVs. According to Staff Sgt. Darron McCracken, an EWTV operator, the compressed timetable between the Pegasus evaluation and January's field training exercise at NTC presented a challenge to the brigade, but they overcame them and seamlessly integrated the system. The exercise at NTC was an ideal environment to test the EWTV. Once the training event was over, additional training was conducted to examine the electronic weapon further. According to the statement, measuring the performance of the EWTV was difficult because there was no benchmark for real-time measures and sensors. When asked if, after the field training exercise at NTC, they felt EWTV was a practical system, McCracken answered, "Absolutely. Absolutely." The EWTV was developed for Electronic Warfare Army units with the ability to detect, disrupt, deny, degrade, or destroy enemy systems, and protect against the enemy's ability to do the same.